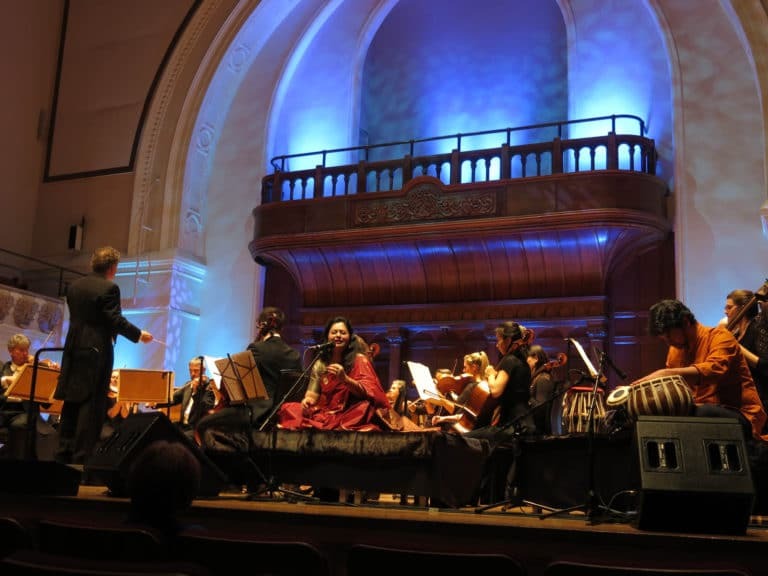 On the evening of Saturday 4 November at Cadogan Hall, Classic FM’s John Suchet hosted our ground breaking concert, Strauss Reflected, which celebrated the lives and works of the Strauss musical dynasty through storytelling and glorious Indian and Western classical music with Meeta Pandit and Sinfonia Verdi. As John himself explained, the audience, “[heard] nothing like it before” and they were”mesmerised” and “captivated” “by the performances” and the “unique evening”. The engaging John Suchet, the author of The Last Waltz: The Strauss Dynasty and Vienna, hosted a night dedicated to the Strauss masters full of surprises. In an evening of light and shade, the dynasty who popularised Viennese waltzes, polkas and marches had in fact very tumultuous lives with many rivalries and tensions amongst the family. Intriguing for example, is the tale of Eduard Strauss, the youngest of the Strauss sons who was a brilliant conductor and master of the Polka, composer of the joyful, Elektrisch Polka. He in fact as John explained, was intensely jealous of his two brothers and after they died burnt thousands of their manuscripts. East and West were united with the full orchestra Sinfonia Verdi and Meeta Pandit in a rousing encore of Radetzky March with an Indian twist which was met by a standing ovation.